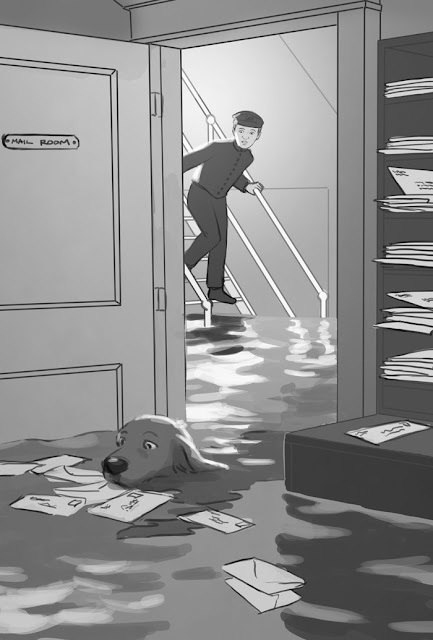 Ranger in Time #9: Disaster on the Titanic released on January 29! 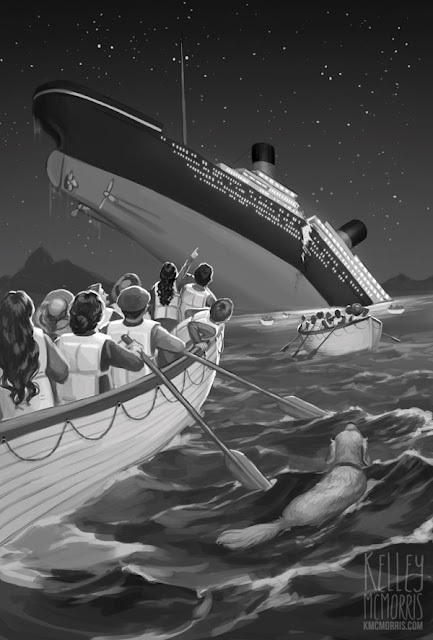 This was one of the most research-heavy books I've done so far, because of the massive amount of resources available about the Titanic. There are so many photographs, illustrations, and of course film adaptations! It was a lot of opportunity for me to get little details right - or wrong! I drew a total of 15 interiors for the book, but I'm going to focus on just one that shows how I construct some of these scenes. 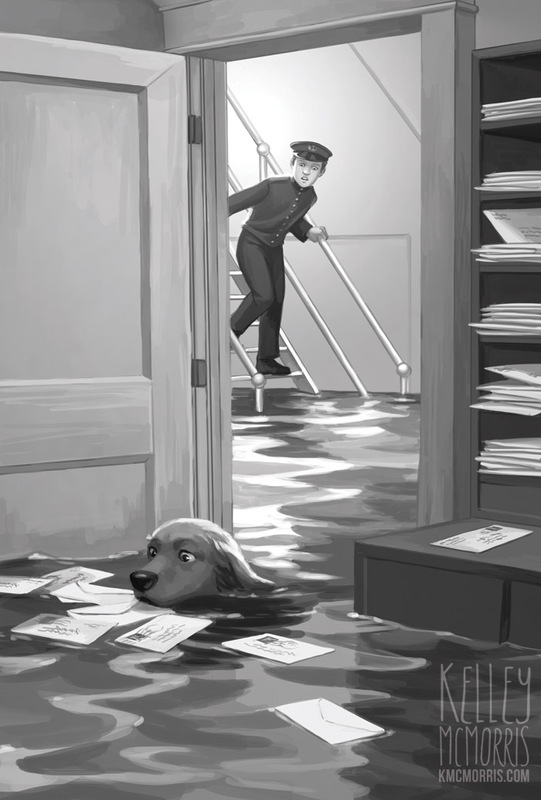 For in the illustration chapter 7, Ranger was going to be swimming through the half-submerged mail room of the Titanic, while Patrick stood on some stairs behind him. 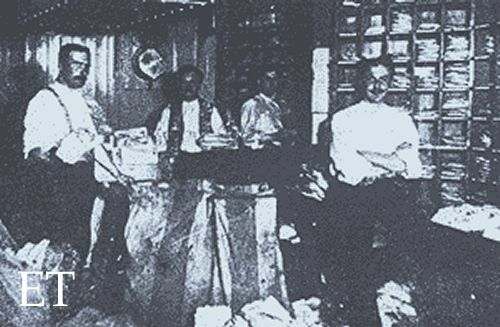 Some websites claimed that this is a photo of the Titanic mail room, but I wasn't able to verify that from any reliable sources. 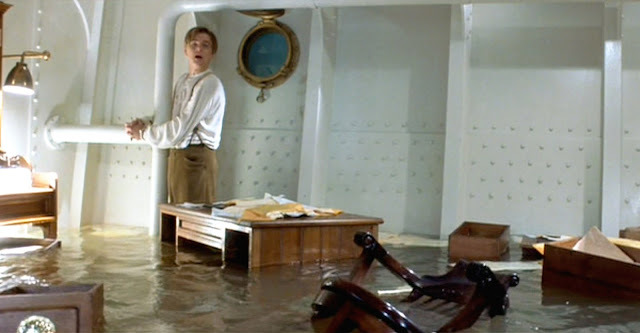 Next, I looked at some stills from the movie Titanic which took place in half-flooded rooms. This helped give me an idea of what the water reflections would have looked like in these conditions. 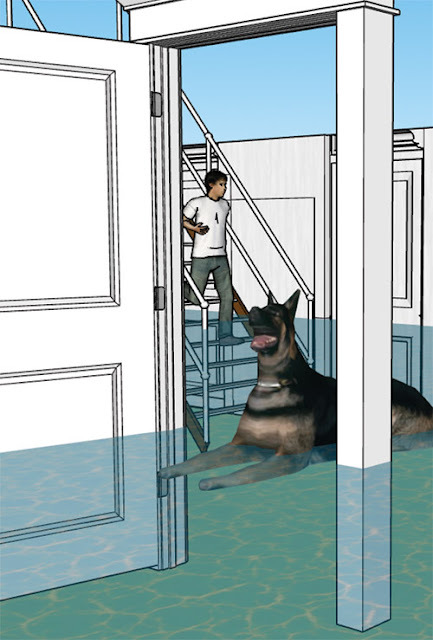 This was approved to go to final without any revisions. That's how I'm able to construct historically accurate scenes. It's a matter of doing as much research as I can on the elements that make up a scene, using whatever resources I can collect (such as 3D models and my own photo references) to stand in for those elements, and then using my imagination to make them all work together. 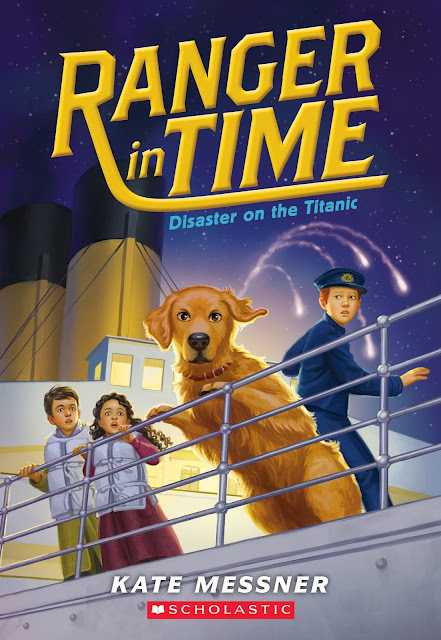 If you enjoy reading about the Titanic, pick up a copy of RANGER IN TIME: DISASTER ON THE TITANIC. It's detailed and historically accurate while also being genuinely heartbreaking. I especially appreciated Kate Messner's focus on the third-class passengers rather than the rich and glamorous first-class ones. Also, give this cover of "My Heart Will Go On" by Postmodern Jukebox a try. I listened to it many times while working on the illustrations for this book, and it cheered me up when the research got too sad. 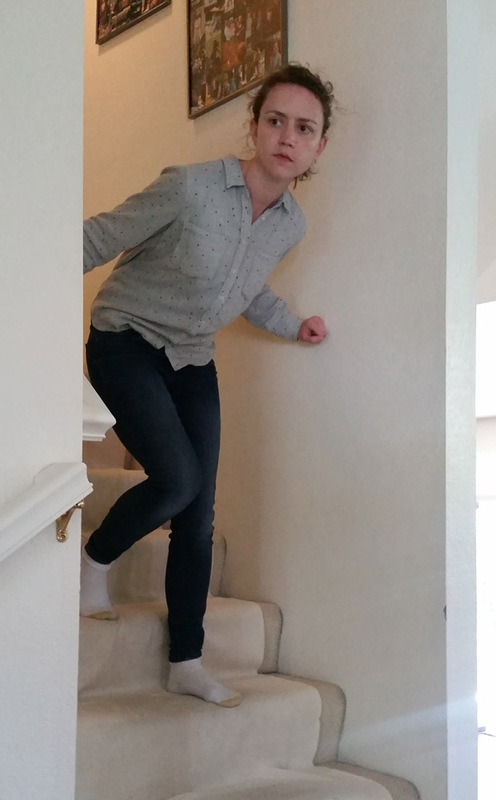 Where did you find that excellent stairway in which to pose? Thanks for sharing your process! It never occurred to me to use Sketchup to build up references, quite interesting taking into account my love-hate relationship with perspective.